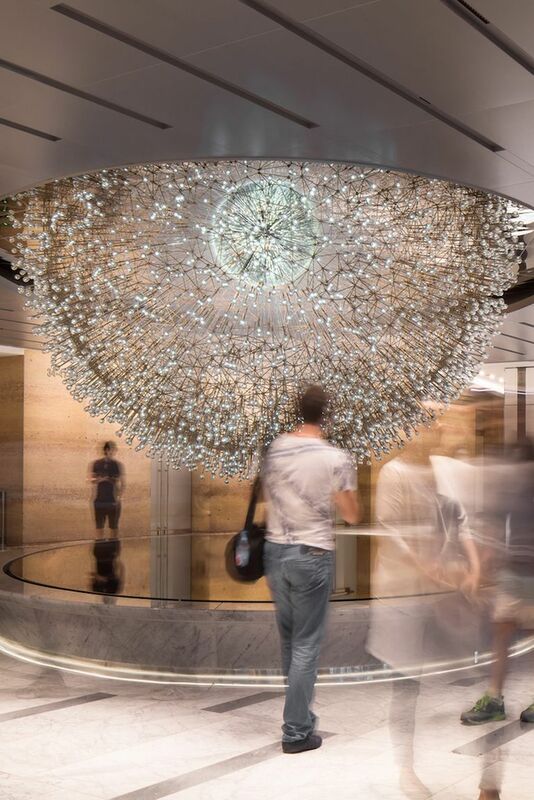 Adorning the lobby of John Hancock Center, in Michigan Ave, Chicago, is Lucent, a brilliantly-dazzling installation that resembles a giant dandelion made up of thousands of small glass florets. 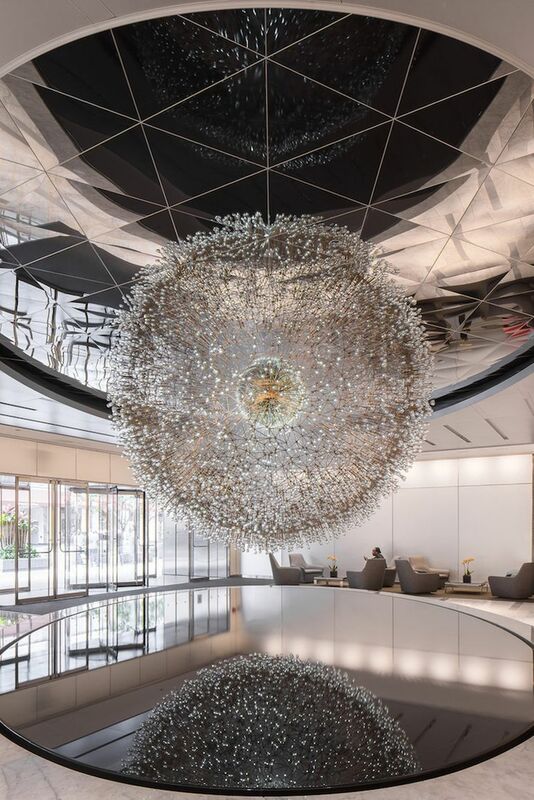 Designed by artist Wolf Buttress, the globe-shaped artwork is suspended above a darkened mirror that reflects its radiance, thus creating an almost-ethereal glow. 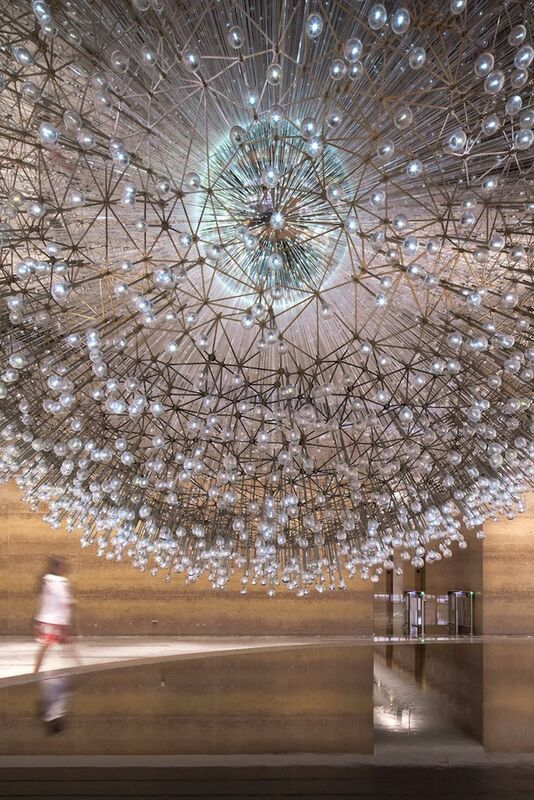 Measuring about 4 meter in diameter, it derives its name from a Latin word, meaning “to shine”. 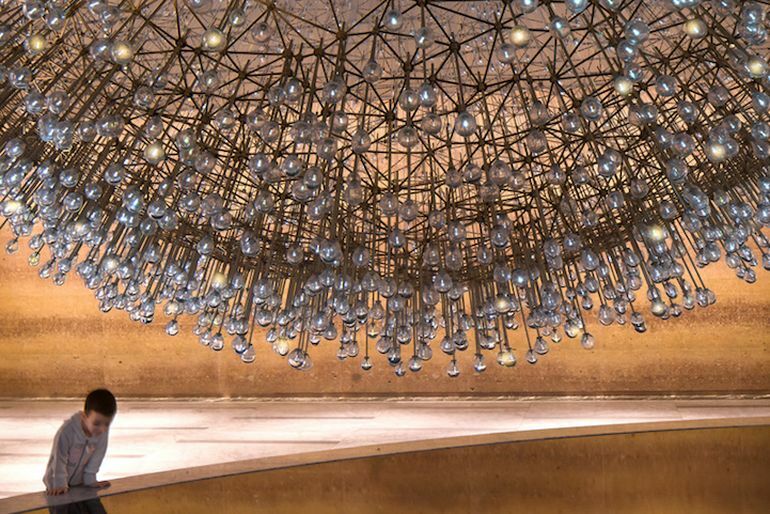 According to the artist, the sculpture’s design is based on a star map, with its 3,115 tiny hand-blown glass spheres representing the stars seen from the Northern Hemisphere. 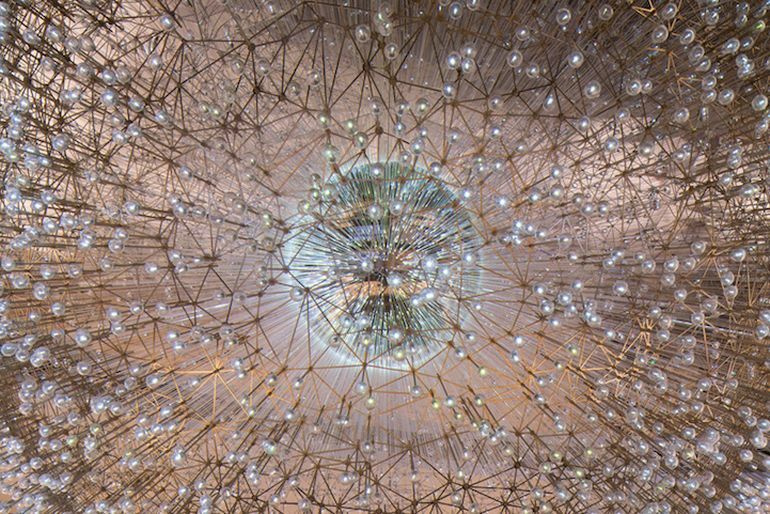 To reproduce the somewhat-diffused pulsating glow of the stars in the sky, Buttress attached fiber optic cables to each of these orbs. The image of the artwork, reflected on the mirror, actually produces the appearance of the Southern Hemisphere and a sense of infinity, generally associated with the universe. 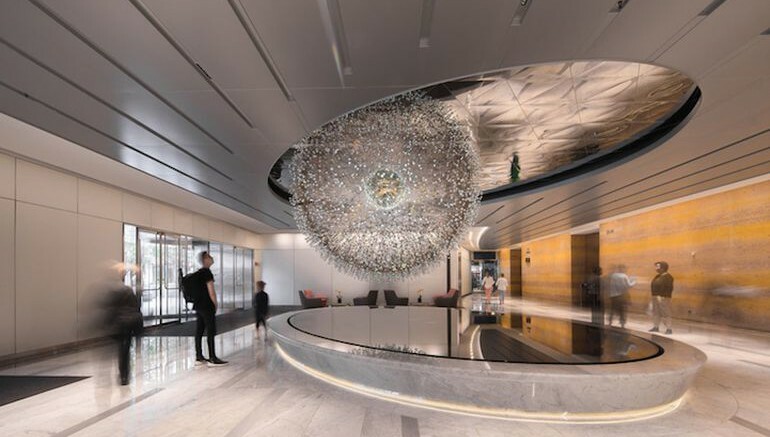 For the project, Buttress worked alongside Dr. Daniel Bayliss, an astrophysicist at the Australian National University, to ensure the sculpture’s structural and spatial accuracy. 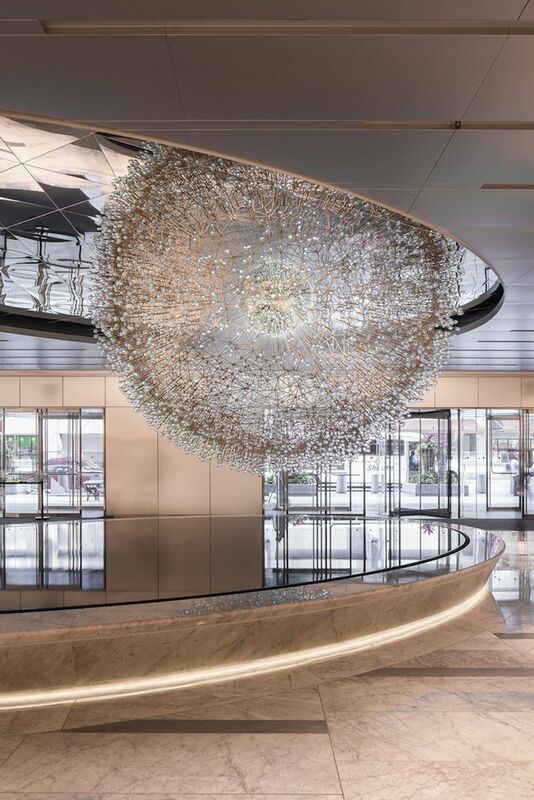 To know more about the artist and his various creations, head over to his official website.